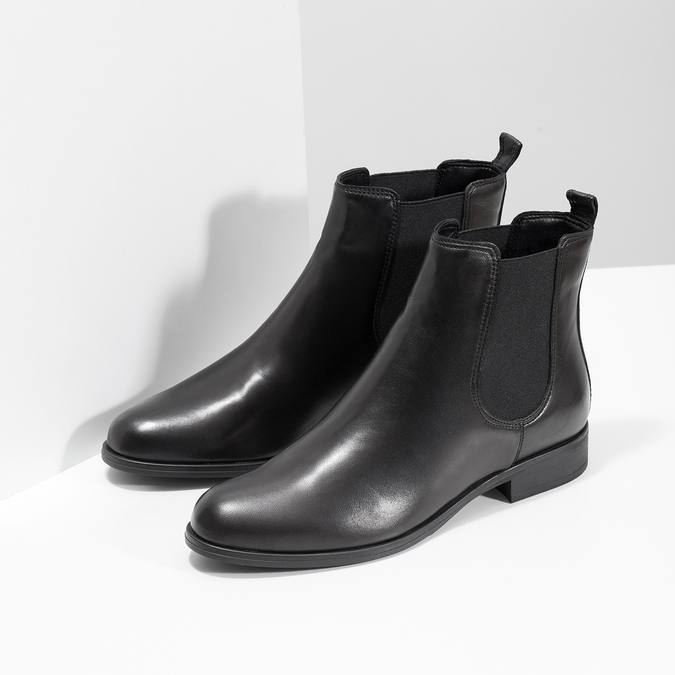 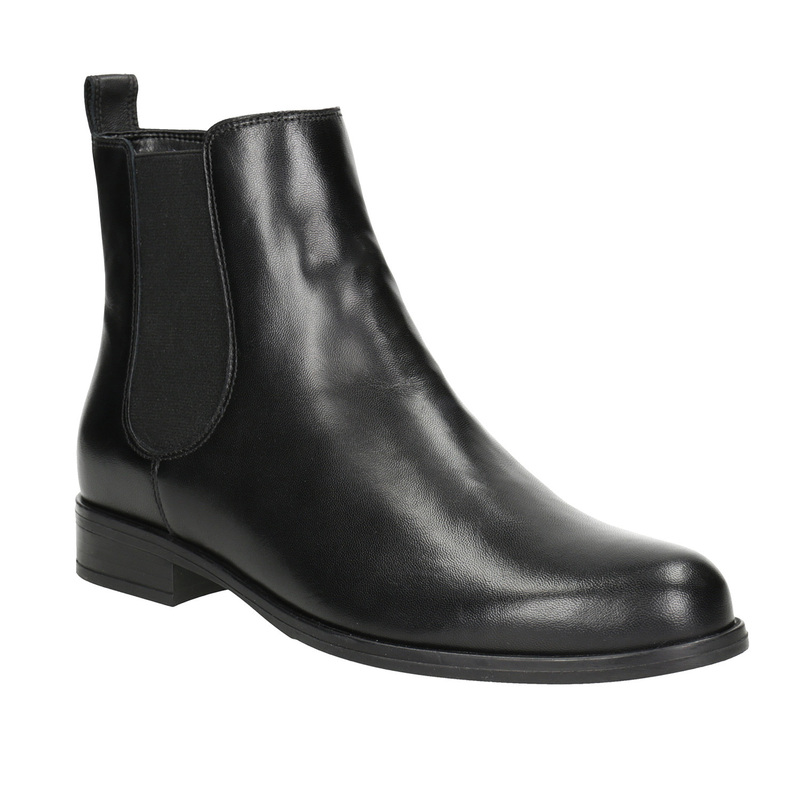 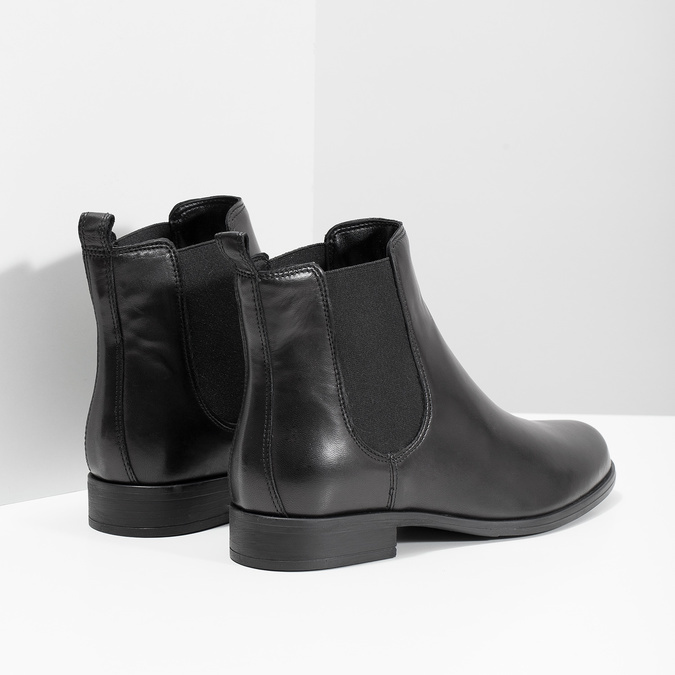 These ladies’ ankle boots have elastic sides in a Chelsea Boots style. 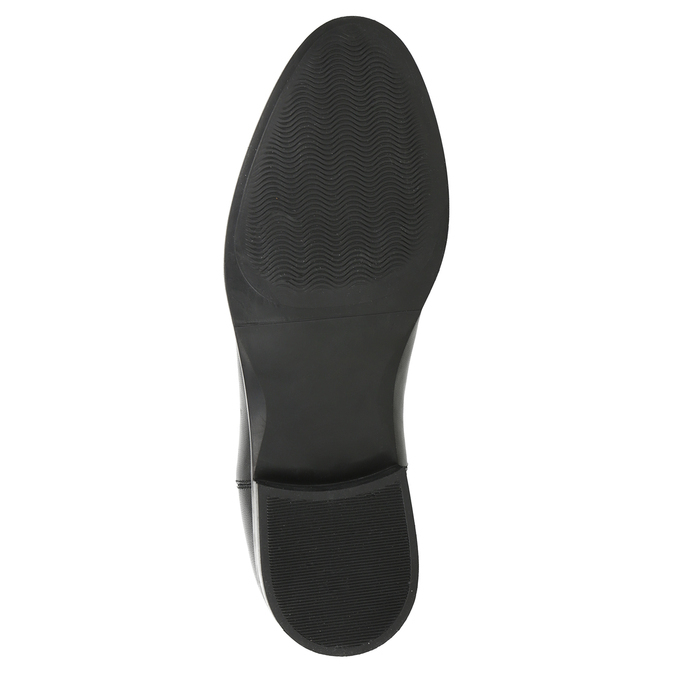 The upper is made of smooth black leather and the insole is also leather. 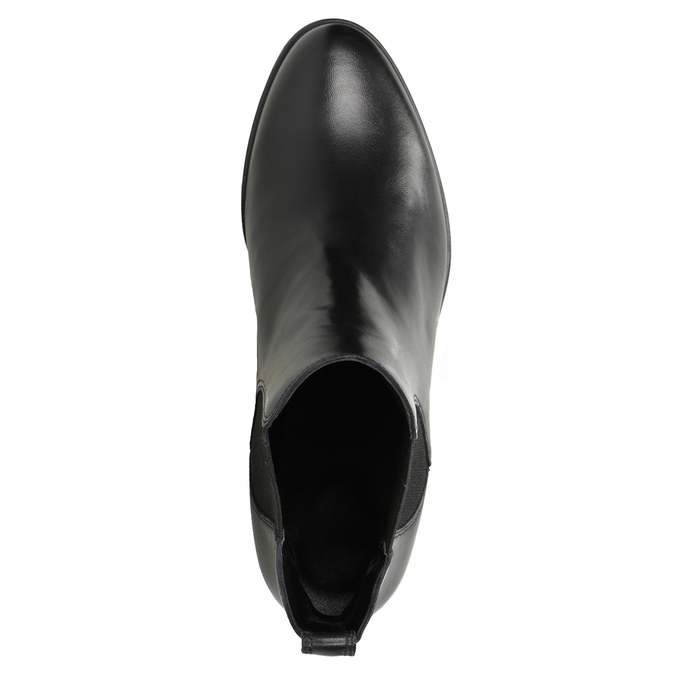 You can combine the perfectly timeless design with jeans and skirts and warm stockings. You can liven them up with a combination of colored socks that you let lightly peek out.